COLUMBUS — The Ohio Fair Managers inducted three individuals and one couple into the Ohio Fairs Hall of Fame Class of 2018, Jan. 7 in Columbus at the Hyatt Regency Ballroom Awards Breakfast as part of the 93rd Annual Ohio Fairs Convention. There were 455 fair officials and families attending the breakfast. 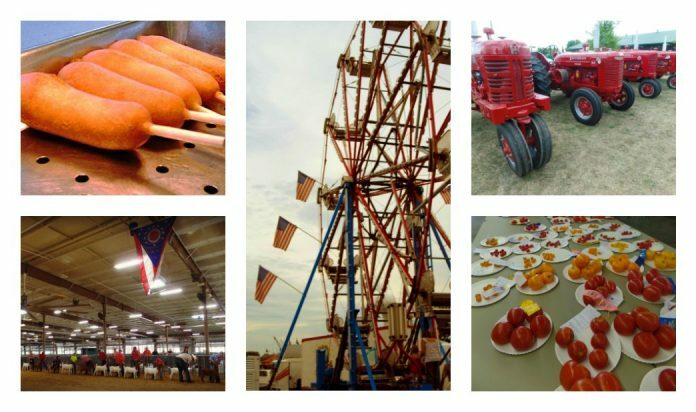 The convention concluded with the annual meeting of the Ohio Fair Managers Association. Ray Davis, of Hardin County Fair. The newly elected officers are: Dan Bullen, president, Greene County Fair, Xenia; Rod Arter, first vice president, Hartford Independent Fair, Croton; Paul Harris, second vice president, Great Geauga County Fair, Burton; and Robert Dawson, treasurer, Lake County Fair, Painesville. Newly elected board directors are: District 9: Paul Lease, Columbiana County Fair, Lisbon, and District 4: Gary Prater, Chillicothe.